Which Features Are Included with TSS? Pre-Collision System—alerts you to possible frontal collisions, and in some situations, can apply the brakes if you don’t react in time. Pre-Collision System with Pedestrian Detection—uses an integrated camera and radar systems to detect pedestrians, as well as straight-ahead cars. Lane Departure Alert—uses a windshield-mounted camera to sense lane departure, and warns you so you can re-center your vehicle quickly. Automatic High Beams—detects the headlights and taillights of other drivers’ vehicles using a camera, and adjusts your high beams to low or high, depending on the situation. Dynamic Radar Cruise Control—allows you to maintain a safe distance from the vehicle ahead, thanks to radar technology and a windshield-mounted camera. Road Sign Assist—detects speed limit signs, stop signs, and more, and displays them on the MID, so you’ll be less likely to miss one. Lane Tracing Assist—works when Dynamic Radar Cruise Control is in use. LTA monitors lane markings and straight-ahead cars to help keep you centered on Cottage Grove roadways. Compared to Honda Sensing®, Toyota Safety Sense™ offers many of the same features. What makes Toyota Safety Sense™ the better pick is the fact that it’s standard on almost all Toyota vehicles. Try Out Toyota Safety Sense™ Today! Ready to test drive a new Toyota vehicle with Toyota Safety Sense™? 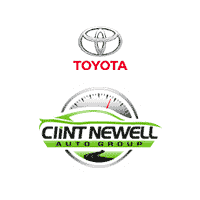 Schedule a test drive at Clint Newell Toyota near Sutherlin! While you’re here, take a moment to learn more about other exciting technologies from Toyota, such as Entune™.